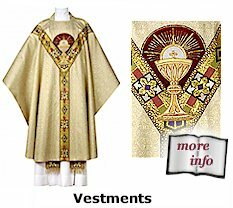 CATHOLIC CHURCH GOODS new and used. 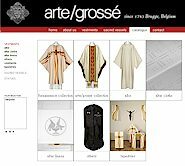 Arte/Grossé - Since 1783, Arte/Grosse has provided exquisite workmanship relying on quality materials, handcrafted tailoring and personalized service. 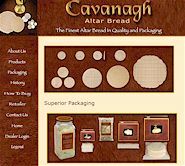 Cavanagh Altar Breads - The finest Altar bread in quality and packaging. 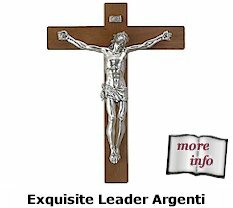 They are baked of only pure wheat flour and water and are made strictly without additives. 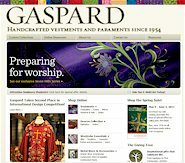 The breads are untouched by human hands and sealed minutes after baking. 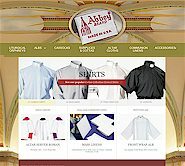 Koleys Church Goods - The standard in fine church metalware and altarware since 1919. Palm Altar Décor - Palm Altar Décor. Top quality Palms, Old-fashioned service. 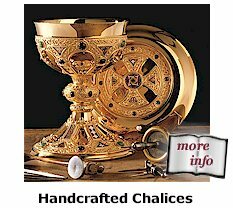 Regal Bronze - Bronze ecclesiastical furnishings. 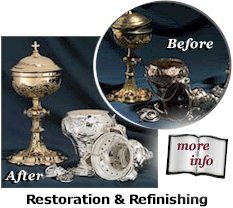 Bronze Tabernacles, Candlesticks, Processional Crosses, Sanctuary Lamps, Church Metalware Refinishing, Bronze & Brass Refinishing, Custom Bronze Designs, Sacrarium and Baptismal Fonts. 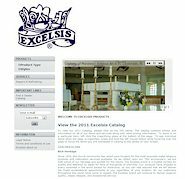 Excelsis Products - For the most exquisite metal religious products and restoration services available. 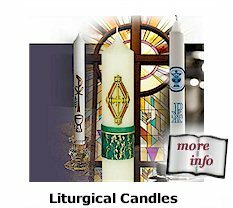 Lux Mundi - Oil burning candles with a wide variety of diameters and heights. 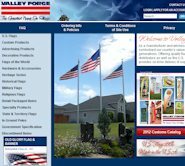 Valley Forge Flag - Valley Forge Flag has symbolized our country’s values, honor and glory through four generations offering delivery of superior flags and accessories at a fair price.